How to import Powermail mailbox data into Outlook PST files? 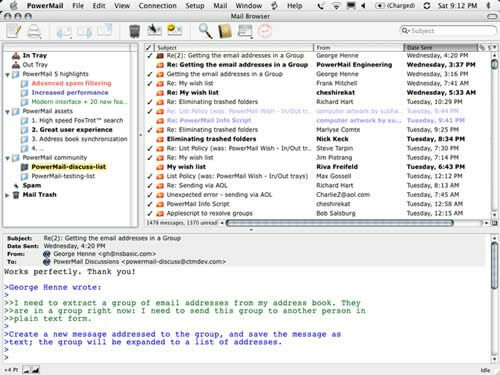 Powermail is the email client for Mac users. It is embedded with advanced features and functions such as simple drag and drop menu, email searching, email storage and management. Mailbox data of powermail users are stored in MBOX file format. However, the question arises why do we need to import Powermail mailboxes to Outlook PST? Here is the answer- MS Outlook supports only PST file while Powermail stores mailbox in MBOX file which is not supported by Outlook. If any user is moving from Powermail email client to Outlook and wants to access his Powermail emails, then he has to import his MBOX files to Outlook. Today, we will discuss the easiest method to import MBOX file to MS Outlook, but before that, you should about some salient features and advantages of Powermail. Powermail does not have the facility to export mailbox data to MS Outlook. You must take the assistance of a powerful email converter for this purpose. Kernel for MBOX to PST Converter is an efficient tool that can convert MBOX files to Outlook PST. With the use of this tool, you can convert Powermail and other 20+ MBOX email client data to Outlook PST. It quickly extracts mailbox data such as emails, attachments, drafts, sent items, notes, deleted items and many more from MBOX file. Kernel for MBOX to PST conversion utility allows conversion of several MBOX files to PST file format in single conversion cycle. It provides different filter options based on email properties like To, From, Subject and Date field for mailbox conversion. 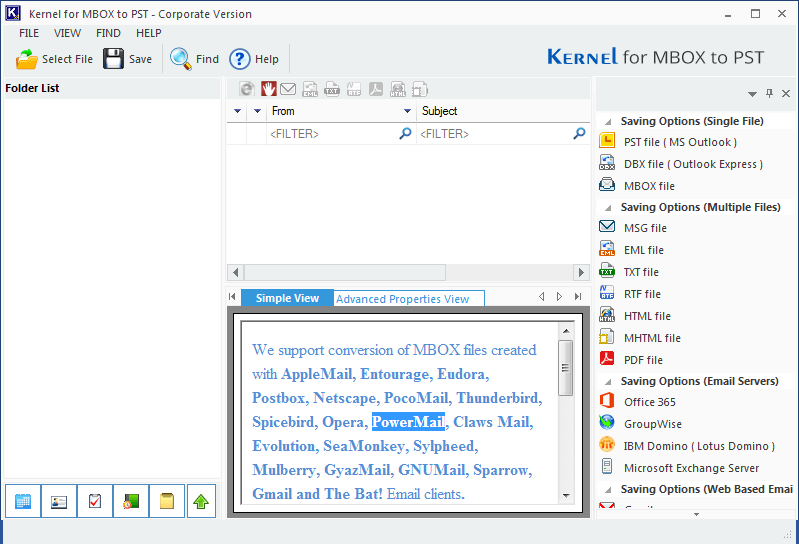 Kernel for MBOX to PST conversion utility allows the user to save MBOX data multiples PST files. This software completely maintains original text formatting and structure of emails in converted PST files. MBOX to PST converter supports several versions of MS Outlook such as Outlook 2000, 2002, 2003, 2007, 2010, 2013, and 2016. It also supports conversion of UNICODE characters. You can judge the capabilities of MBOX to PST converter in its evaluation version. However, trial version has some limitations and therefore, you must purchase licensed version to use the software without any restriction.